Wright Electrical Company can install a number of different upgrades to fix any electrical problems with your panel, and you can trust that our technicians really know what is going to help you and your electric bill in the long run. When it comes to keeping your property safe, you can count on Wright Electrical Company to provide quality lighting with a pole electrical repair. We have both the equipment and the knowledge to get the job done right and done safely. Do you have an electric sign that isn’t functioning properly? 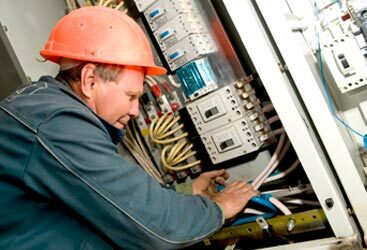 Let the commercial electrician at Wright Electrical Company fix it for you. All our technicians have experience working which technical lighting like that of an electrical sign. The light fixtures in your home or office can be one of the most significant factors in the amount of your electric bill. Let a technician from Wright Electric Company take a look at your office lighting, warehouse lighting or external lighting and upgrade you to something that will fit your home and your electric bill much better. Old is never good when it comes to electrical wiring. Not only does your old wiring probably not meet current standards and codes, but a majority of the time old wiring is the root cause of energy loss and spikes in your electrical bill. Let Wright Electrical Company help you get that wiring under control with some much-needed upgrades. Sure you could call your TV or phone company, get stuck on hold, finally talk to a robot, and all just to schedule an appointment 3 weeks out to install your product. Or you could call Wright Electrical Company, talk to a real human right away, and have your TV or phone installed that same day. Motor controls can be a tricky business and there are many different electrical safety standards and protocols that one must follow when dealing with them. That being said it is always better to let a professional electrician, like the ones at Wright Electrical Company, handle any changes being made. No one wants to live somewhere that isn’t safe. In fact, no one wants to live somewhere that has a high electric bill either. Two things that Wright Electric Company can promise you are that we will make your home safe and we will save you money. 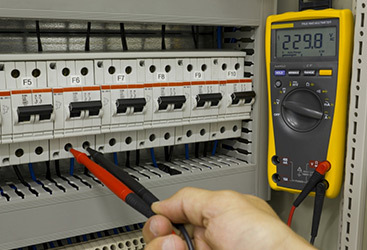 Let us do an electrical inspection on your home today. Even if the service you require has not been listed, please note that our technicians are here to help you! No matter the problem, and no matter the time, each and every technician has been trained in trouble shooting any problem, which mean we will always find an answer. 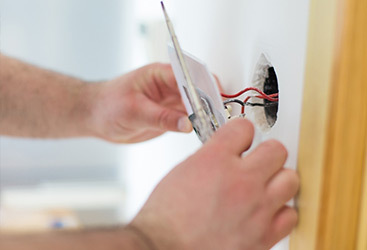 At Wright Electrical Company, we believe in free estimates, 24-hour services, and providing good quality assistance for every electrical problem. So, give us a call whenever you need electrical support. We will be there.